Assistant Professor at the Department of Electrical and Computer Engineering of the University of Coimbra. Founding member of the Institute for Systems and Robotics (ISR) where he is now a researcher. Ph.D. degree in Electrical Engineering from the University of Coimbra, 2000. M.Sc. degree in Systems and Automation from the University of Coimbra, 1994. Licenciatura degree in Electrical Engineering from the University of Coimbra, 1991. Rui Araújo received the B.Sc. degree ("Licenciatura") in Electrical Engineering, the M.Sc. degree in Systems and Automation, and the Ph.D degree in Electrical Engineering from the University of Coimbra, Portugal, in 1991, 1994, and 2000 respectively. He joined the Department of Electrical and Computer Engineering of the University of Coimbra where he is currently an Assistant Professor. He is a Senior Member of the IEEE, and a founding member of the Portuguese Institute for Systems and Robotics (ISR-Coimbra), where he is now a researcher. 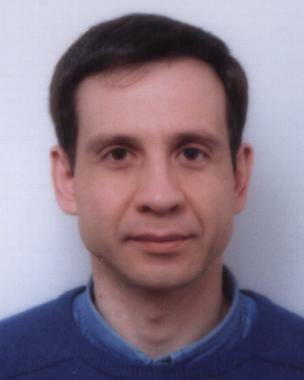 Research interests include: computational intelligence, intelligent control, computational learning, machine learning, fuzzy systems, neural networks, optimization, modeling, simulation, estimation, prediction, control, big data, robotics, mobile robotics and intelligent vehicles, robot manipulators control, sensing, soft sensors, automation, industrial systems, embedded systems, real-time systems, and in general architectures and systems for controlling robot manipulators, mobile robots, intelligent vehicles, and industrial systems. Associate Editor at the International Program Committee at the “28th IEEE International Symposium on Robot and Human Interactive Communication (RO-MAN 2019)”, New Delhi, India, October 14-18, 2019.
International Program Committee member at the “14th APCA International Conference on Automatic Control and Soft Computing (CONTROLO 2020)”, Bragança, Portugal, July 1-3, 2020.
International Program Committee member at the “15th China-Europe International Symposium on Software Engineering Education (CEISEE 2019)”, Lisbon, Portugal, May 30-31, 2019.
International Program Committee member at the “16th International Conference on Informatics in Control, Automation and Robotics (ICINCO 2019)”, Prague, Czech Republic, July 29-31, 2019. Scientific Committee member at the “14th Iberian Conference on Information Systems and Technologies (CISTI 2019)”, Coimbra, Portugal, June 19-22, 2019. Program Committee member at the “The Third IEEE International Conference on Robotic Computing (IEEE IRC 2019)”, Naples, Italy, February 25-27, 2019. Technical Program Committee member at the Special Track on Operating Systems of the “The 34th ACM/SIGAPP Symposium On Applied Computing (SAC 2019)”, Limassol, Cyprus, April 8-12, 2019. Program Committee member at the “The Third IEEE International Conference on Cognitive Computing (IEEE ICCC 2019)”, Milan, Italy, July 8-13, 2019. Associate Editor at the International Program Committee at the “27th IEEE International Symposium on Robot and Human Interactive Communication (RO-MAN 2018)”, NanJing-Tai'An, China, August 27-31, 2018.
International Program Committee member at the “15th International Conference on Informatics in Control, Automation and Robotics (ICINCO 2018)”, Porto, Portugal, July 29-31, 2018. Program Committee member at the “The Second IEEE International Conference on Cognitive Computing (IEEE ICCC 2018)”, San Francisco, CA, USA, July 2-7, 2018. Scientific Commission member at the “13th Iberian Conference on Information Systems and Technologies (CISTI 2018)”, Cáceres, Spain, June 13-16, 2018. Communication Chair at the “13th APCA International Conference on Control and Soft Computing (CONTROLO 2018)”, Ponta Delgada, São Miguel Island, Azores, Portugal, on 4-6 June 2018. Technical Program Committee member at the Special Track on Operating Systems of the “The 33th ACM/SIGAPP Symposium On Applied Computing (SAC 2018)”, Pau, France, April 9-13, 2018. Program Committee member at “Third Iberian Robotics Conference - (Robot'2017)”, Seville, Spain, November 22-24, 2017. Associate Editor at the International Program Committee at the “26th IEEE International Symposium on Robot and Human Interactive Communication (RO-MAN 2017)”, Lisbon, Portugal, August 28 - September 1, 2017. Information Technology Chair at “26th IEEE International Symposium on Robot and Human Interactive Communication (RO-MAN 2017)”, Lisbon, Portugal, August 28 - September 1, 2017.
International Program Committee member at the “14th International Conference on Informatics in Control, Automation and Robotics (ICINCO 2017)”, Madrid, Spain, July 29-31, 2017. Scientific Commission member at the “12th Iberian Conference on Information Systems and Technologies (CISTI 2017)”, Lisbon, Portugal, June 14-17, 2017. Technical Program Committee member at the Special Track on Operating Systems of the “The 32th ACM/SIGAPP Symposium On Applied Computing (SAC 2017)”, Marrakesh, Morocco, April 3-7, 2017. Scientific Committee member at the “12th Portuguese Conference on Automatic Control (CONTROLO 2016)”, Guimarães, Portugal, September 14-16, 2016.
International Program Committee member at the “13th International Conference on Informatics in Control, Automation and Robotics (ICINCO 2016)”, Lisbon, Portugal, July 29-31, 2016. Technical Program Committee member at the Special Track on Operating Systems of the “The 31th ACM/SIGAPP Symposium On Applied Computing (SAC 2016)”, Pisa, Italy, April 4-8, 2016. Technical Program Committee member at the Special Track on Operating Systems of the “The 30th ACM/SIGAPP Symposium On Applied Computing (SAC 2015)”, Salamanca, Spain, April 13-17, 2015.
International Program Committee member at the “12th International Conference on Informatics in Control, Automation and Robotics (ICINCO 2015)”, Colmar, Alsace, France, July 21-23, 2015. Technical Program Committee member at the “The 4th International conference on Consumer Electronics, Communications and Networks (CECNet 2014)”, Beijing, China, December 20-22, 2014.
International Program Committee member at the “11th International Conference on Informatics in Control, Automation and Robotics (ICINCO 2014)”, 2014, Vienna, Austria, September 1-3.
International Program Committee member at the “10th International Conference on Informatics in Control, Automation and Robotics (ICINCO 2013)”, July 29-31, 2013, Reykjavik, Iceland. International Program Committee member at the “17th IEEE Conference on Emerging Technologies and Factory Automation (ETFA 2012)”, Track on Intelligent Robots and Systems, Kraków, Poland, September 17-21, 2012.
International Program Committee member at the “9th International Conference on Informatics in Control, Automation and Robotics (ICINCO 2012)”, Rome, Italy, July 28-31, 2012. Information Technology Chair at “IEEE/RSJ International Conference on Intelligent Robots and Systems (IROS 2012)”, Vilamoura-Algarve, Portugal, October 7-11, 2012.
International Program Committee member at the “15th IEEE Conference on Emerging Technologies and Factory Automation (ETFA 2010)”, Track on Intelligent Robots and Systems, Bilbao, Spain, September 13-16, 2010. Information Technology Chair at “13th International IEEE Conference on Intelligent Transportation Systems (ITSC 2010)”, Madeira Island, Portugal, 19-22 September. International Program Committee member at the “14th IEEE Conference on Emerging Technologies and Factory Automation (ETFA 2009)”, Track on Intelligent Robots and Systems, Mallorca, Spain, September 22-26, 2009.
International Program Committee member at the “13th IEEE Conference on Emerging Technologies and Factory Automation (ETFA 2008)”, Track on Intelligent Robots and Systems, Hamburg, Germany, September 15-18, 2008.
International Program Committee member at the “IEEE International Conference on Robotics and Biomimetics (ROBIO 2007)”, Sanya, China, December 15-18, 2007.
International Program Committee member at the “12th IEEE Conference on Emerging Technologies and Factory Automation (ETFA 2007)”, Track on Intelligent Robots and Systems, Patras, Greece, September 25-28, 2007.
International Program Committee member at the “IEEE International Conference on Robotics and Biomimetics (ROBIO 2006)”, Kunming, China, December 17-20, 2006. Information Technologies Chair at “The 11th International Conference on Advanced Robotics (ICAR 2003)”, University of Coimbra, Portugal, June 30 - July 3, 2003.